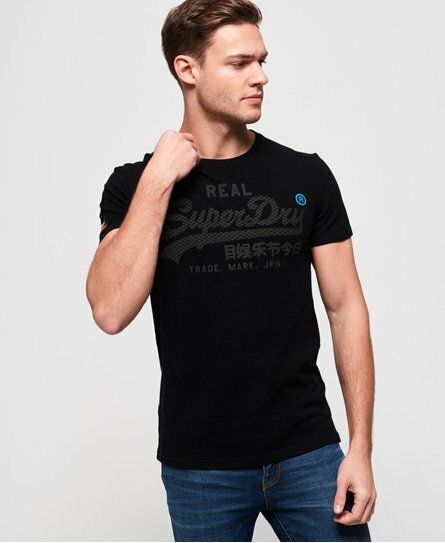 Superdry men's Vintage Logo monochrome t-shirt. A classic crew neck t-shirt featuring a textured logo graphic on the chest and logo badge on one sleeve. Crafted from super soft fabric, this t-shirt is sure to become a wardrobe staple.